That’s one way to hide from people at a big convention like BlizzCon. 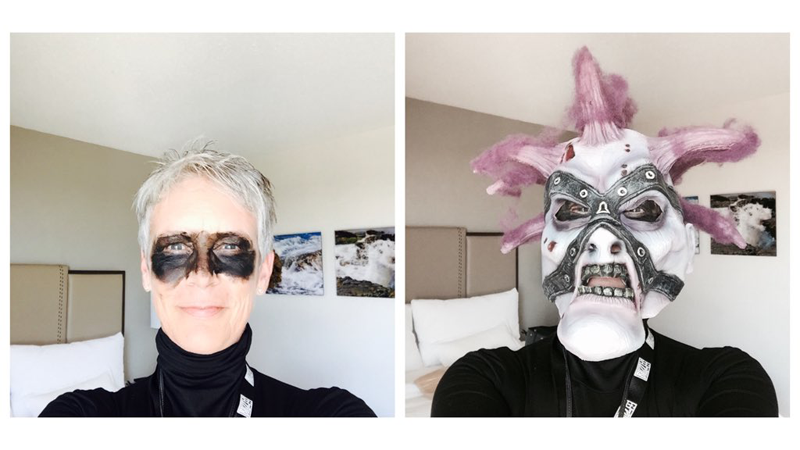 We already knew actress Jamie Lee Curtis and her family likes to infiltrate gaming events in disguises and she proved it once again at BlizzCon by dressing up as a Forsaken character from World of Warcraft. Nailed it. Especially the hair! Safe to say she’s playing undead in-game.